Healthcare Machinery Co., Ltd was founded in 2003, specializing in research, design and manufacturing of CNC contour cutting equipment. We are the largest and most successful manufacturer of CNC equipment in China. From the beginning we have operated with the spirit of “good faith” business philosophy. We are a proactive, innovative company striving to provide customers the highest quality products and best customer service available in the industry. An installed base of more than 1,500 machines worldwide speaks to our success. Further testament to our success is that we have captured more than 65% of the Chinese market. 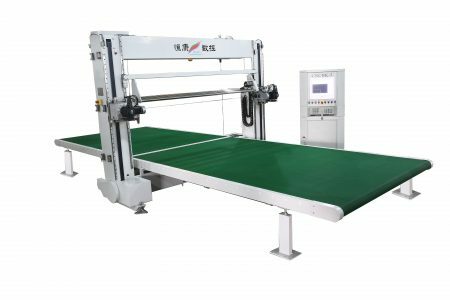 The oscillating blade and continuous blade machines incorporate exceptional engineer design that provides for smooth, fast and efficient processing of full size blocks in minutes. All the machines are designed to require only one operator eliminating additional manpower.